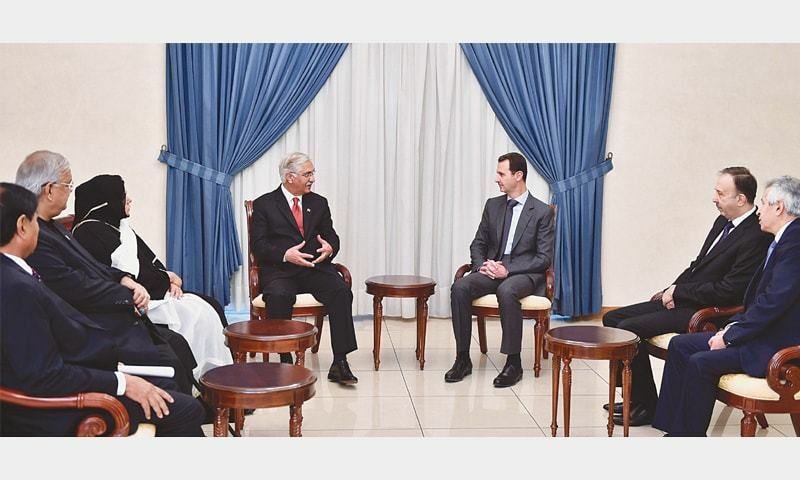 Rather than siding with Islam and Muslims, the Raheel-Nawaz regime regime has sided with the West and the Syrian tyrant Bashaar in their war against the return of the Khilafah. Syrian Muslims have been calling for help from every Muslim country, but the Raheel-Nawaz regime has kept our soldiers in their barracks, though it is willing to send them to far flung places like Liberia upon the request of its Western masters. Hizb ut-Tahrir Wilayah Pakistan warns the traitors in the political and military leadership that whatever efforts they exhaust against the establishment of Khilafah, it is going to happen soon Insha Allah. If not in Syria soon it will be here in Pakistan باذن الله and the Ummah will not forget those who assisted her enemies and most importantly nor will Allah SWT.